Whether it be writing to the First Minister about mountain hare culls, tweeting your MSP about fox hunting or collecting signatures for our salmon farming campaign, lobbying decision-makers has a huge impact. We’re looking for people to join our army of Animal Advocates to help support our biggest campaigns. OneKind’s goal is to end cruelty to Scotland’s animals. 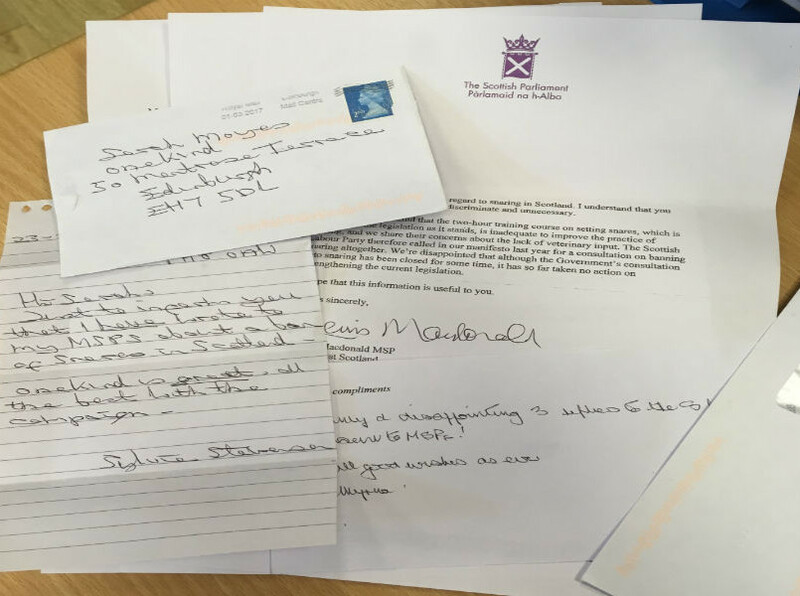 Last year, our petitions got tens of thousands of signatures and we lobbied even more MSPs than before. However, we need to do more. That’s where our OneKind Animal Advocates come in. We’re looking for people to become Animal Advocates and support our campaigns by helping us to lobby decision-makers on animal welfare issues. Write letters – Put pen to paper and lend your writing skills in support of our campaigns. We’ll provide you with a full brief on the campaign and template letter to get you started. We’re also on hand to answer any questions and look over your letters before you put them in the post. Social media – Got Twitter or Facebook? Help us spread the message of our campaigns by getting in touch with your local MSPs, sharing petitions and raising awareness of our work. Emails – Sending emails can be quick and extremely effective way of speaking to decision-makers about issues that concern you. We can help provide you with information for your emails and the contact details you’ll need. Collecting petition signatures – Do you have any animal-loving friends or work colleagues that might be interested in our work? We can send you some of our petition sheets so you can collect some extra signatures for us. Sign up below to become a OneKind Animal Advocate.